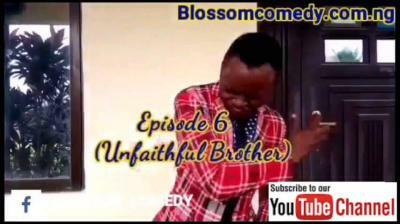 Blossom Comedy – Unfaithful Brother (Episode 6) 3GP MP4 Download. Another very funny episode of blossom comedy. A brother who dedicated his life to God in a church Service, went home And became worster than he was before. download and watch what happened to him… it’s really funny. some Christians deserve this.. watch and share.